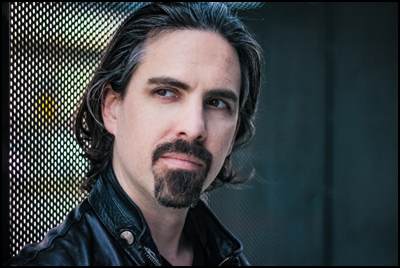 Composer Bear McCreary was happy to mention his considerable knowledge of Jacobite music when writer/producer Ronald D. Moore was telling him about a new show he had in the works. McCreary revealed more details about how the iconic Outlander theme came to be and more to Syfy Wire. McCreary had previously composed the score for Moore’s hit show Battlestar Galactica. Moore was curious to see what he could come up with for the yet-to-premiere series Outlander. Ron Moore listened to a few recordings McCreary had created. One piece, in particular, caught the producer’s ear. The Outlander composer noted a subtle, yet interesting change he made from the original lyrics. The ethereal opening vocals for Outlander’s iconic main title theme almost didn’t happen. McCreary realized that the vocal version was a vast improvement over his initial recording. This entry was posted in Bear McCreary, Composer, Interviews, Producers, Ronald D. Moore and tagged Bear McCreary, Composer, Interviews, Ron Moore, Ronald D. Moore, Skye Boat Song by Katherine Stinson. Bookmark the permalink.